Turkish security forces yesterday (23 January) detained dozens more people nationwide on accusations of spreading propaganda for “terror” groups, in a major clampdown as Ankara presses its new offensive inside Syria. Ninety-one people were detained in 13 provinces ranging from Izmir on the Aegean to Van in the east over their postings on social media. Twenty-four people had been detained in other cities on Monday in raids that have raised new concerns among rights groups over freedom of expression in the country. Among those taken into custody were five journalists, including writer and activist Nurcan Baysal, Reporters Without Borders (RSF) said. The detentions come as Turkey pressed ahead with its military incursion in northern Syria against the Syrian Kurdish People’s Protection Units (YPG) militia. 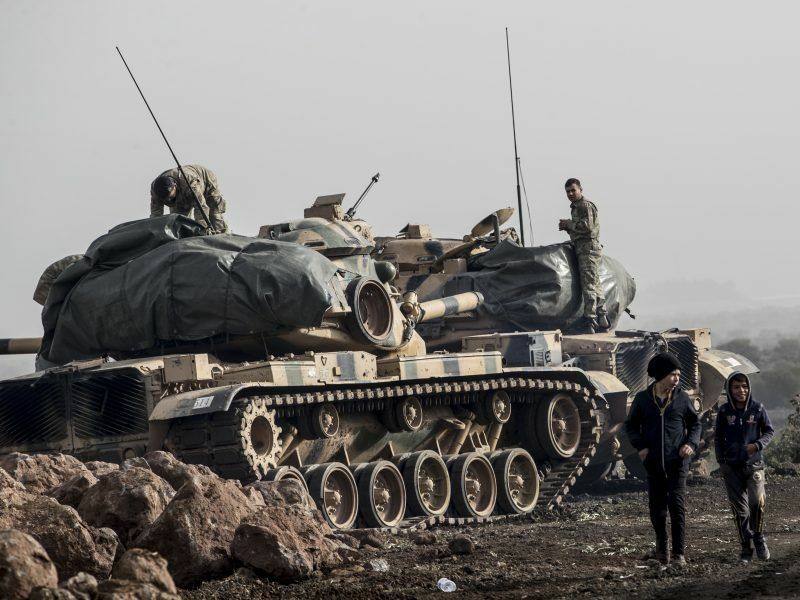 Turkey yesterday (22 January) intensified its offensive against Kurdish militia targets in Syria as President Recep Tayyip Erdoğan vowed there would be no stepping back in a campaign that has stoked concern among Ankara’s allies and neighbours. Ankara views the YPG as “terrorists” linked to the outlawed Kurdistan Workers’ Party (PKK) waging a three-decade long insurgency in Turkey. Turkish President Recep Tayyip Erdoğan called for national unity over the operation and warned those responding to calls for protests would pay a “heavy price”. Erdoğan’s spokesman Ibrahim Kalin urged the “public, and especially the media, to be wary of lying, fake, distortive and provocative news, images and gossip”. Kalin said in a statement that the authorities were watching the “disinformation activities closely” and would “quickly and resolutely” act within the framework of the law if necessary. Twenty-three suspects were detained in the Aegean province of Izmir, the agency said. Six of the suspects had been planning a protest in a park, the agency said. The Izmir provincial chairman of Turkey’s main pro-Kurdish Peoples’ Democratic Party (HDP) was reportedly also detained. The authorities are responding to what they see as deliberate disinformation, including the use of images that some Turkish media said had been “manipulated” or simply taken from other conflicts but presented as from the current offensive. Yıldırım hit out at those using images of children and civilians to blame Turkey for violence against innocent parties. “Social media is not unaccountable media,” he said. Other arrests took place in the southeastern province of Diyarbakir, the capital Ankara, the southern city of Mersin and Mus and Van in the east. Two reporters for the pro-Kurdish news agency Mezopotamya, Hayri Demir and Seda Taskin, were detained late Monday in Ankara, RSF said. The head of RSF’s Eastern Europe and Central Asia desk Johann Bihr said the “increase in the witchhunt against critics” and the lack of debate over the offensive highlighted “the degree to which pluralism has collapsed in Turkey”. After the arrests on Monday, Human Rights Watch (HRW) Turkey researcher Emma Sinclair-Webb hit out at Ankara’s “intolerance of criticism”. Meanwhile, controversy rumbled over the vandalising by protesters of the offices of a newspaper in the Turkish Cypriot breakaway statelet — recognised only by Ankara — that had called the operation an “occupation”. 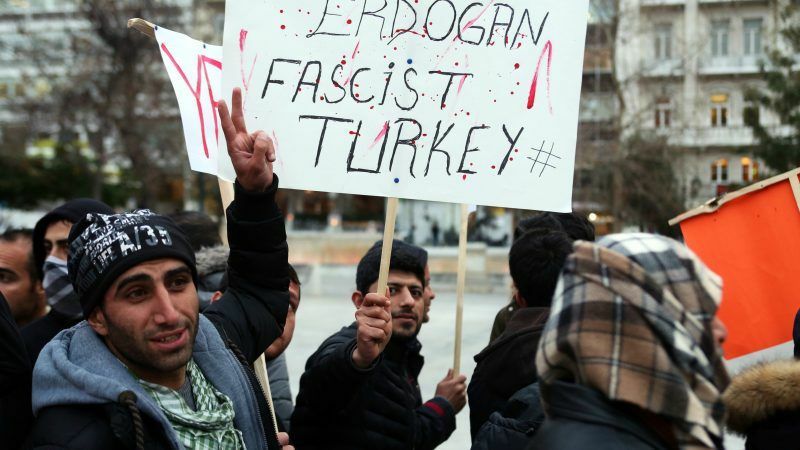 Hundreds had demonstrated outside the offices of the daily Afrika newspaper in Nicosia on Monday, apparently responding to a call by Erdoğan who had criticised the paper. “Intimidating journalists is unacceptable. The European Parliament will always defend media freedom, the cornerstone of democracy,” wrote the President of the European Parliament Antonio Tajani on Twitter, as he condemned the attacks on the newspaper. It is quite understandable that people have been taken into custody by Turkish security – these people have been calling into question the attractiveness, or otherwise of a new costly acquisition to Mr Erdogan’s goat harem – I understand she is beautiful a queen of goats – & destined to give Mr Erdy lasting pleasure (based on the well know Turkish proverb: “women for children, boys for pleasure and goats for ecstasy”). Thus as a matter of national security these people need to be rounded up & imprisoned – quite right to. Who could possibly object to such a view?